Employment based preferences are some of the most complicated aspects of immigration law today and often can become confusing for employers and prospective employees alike. This is why both of these individuals tend to hire experienced and knowledgeable attorneys who have a track record of practicing in the field of immigration law so as to minimize the problems associated with delays, denials, and omitted materials. Understanding the steps of employment based preferences is crucial for an employee who intends to go through this process as well as employers who intend to leverage foreign talent. When a file has been completed with all of the associated and necessary documents, an applicant’s interview appointment is then scheduled. The file is then sent to the U.S. embassy or consulate in which the applicant will be interviewed for a visa. Every fiscal year, around 140,000 employment-based immigrant visas are made available to qualified applicants. Getting through the entirety of the process can be difficult and this is why it is important to be prepared with the appropriate paperwork and expectations over the visa interview. An attorney, third party agent or the applicant will receive appointment letters or emails containing the date and time about the applicant’s visa interview along with additional instructions such as guidance for getting medical examination. In order to be appropriately prepared for this visa interview, the applicant should bring their valid passport to the meeting and any other documentation that has not already been provided. 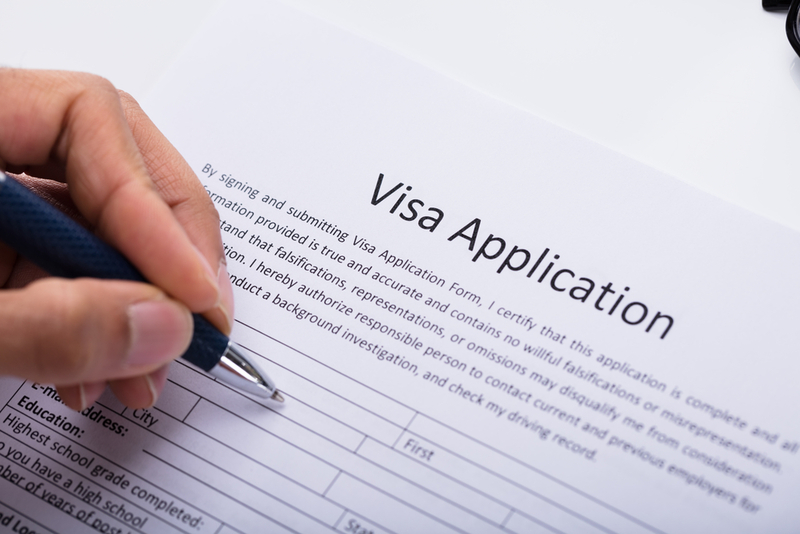 A consular officer will, at this stage, interview the applicant and determine whether or not that applicant is within the eligibility guidelines to get an immigrant visa in accordance with current laws. Digital finger print scans are taken on that interview day and an applicant will get original civil documents submitted and any needed translations back at this time as well.